After last night’s release of the new Solo: A Star Wars Story, the merchandise is about to start rolling in full force. You know that Funko is going to be one the first to roll out big time. Today they unveiled Pop! 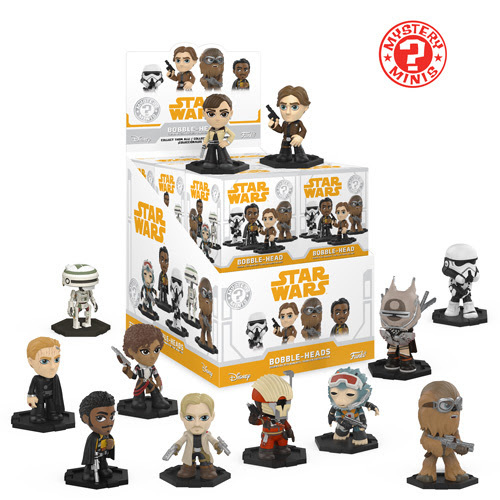 figures, plush, T-shirts, wobblers, and my favorite line of theirs, the mystery minis. 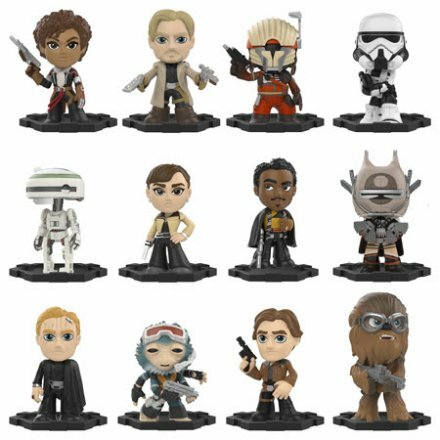 The new assortment includes Han Solo, Chewbacca, Qi’Ra, Tobias, Lando, Enfys Nest, Rio Durant, Range Trooper, L3-37, and others.